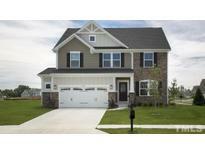 Find Raleigh, NC New Homes for sale. View Photos, Maps and MLS Data Now! Yates Mill Run - Family Room w/Coffrd Ceiling, Cstm Srrnd GasLog Fireplace & BuiltIns! MLS#2250450. 1128. Nice 1.5 car garage w/ extra wide driveway. MLS#2250453. 1710. Belmont - Wembley F Plan For Comp purpose Only MLS#2250513. 810. Stop searching and come home to McCullers Walk! September move in! MLS#2250473. 513. Stop searching and come home to McCullers Walk! September move in. MLS#2250489. 513. Bellevue Terrace - Enjoy a full acre, private & primed for a pool, in a locale where space is treasured. MLS#2242163. 4402. Contact the listing agent, Jean Merta for more details about the lot and build to suite process. MLS#2250033. 511. Guest bedroom on first floor with full bath. Laundry on second floor. MLS#2250069. 3789. The family will enjoy gathering in the large Loft, also featuring plank floors, which extend along the upstairs hall. Stairs have oak treads. MLS#2250089. 3789. The master suite is beautifully appointed with a large walk in closet and private master bath with a two separate vanities, garden tub and a separate s MLS#2249980. 2515. This large open room can be used as an office, play room, media room, or whatever fits your MLS#2249992. 2515. Master bath w/ over sized shower. MLS#2249789. 3789. 2 secondary bedrooms share a hall bath. Wifi Certified. Ring Doorbell. MLS#2249785. 3789. Dual vanity master bath has over sized walk in shower, linen closet, and private water closet. Buy now for Fall completion. MLS#2249790. 3789. Great location with easy access to I-40, airport and downtown Raleigh. MLS#2249495. 513. Amenities:rooftop terrace, fitness, gathering Room, landscaped grounds w/ rose garden & pocket park. MLS#2249428. 3036. Discover the "everything's included" simplicity of a Lennar home in one of Raleigh's best locations! ! MLS#2249543. 3789. Upstairs also has Hardwood Floors and the Master Bathroom is fully Tiled with a huge Stand-Up Shower. Fenced Backyard with Privacy Fence. MLS#2249390. 1752. Ring Door Bell, Smart Deadbolt, & WIFI Thermostats. MLS#2249373. 3789. All Bedroom's w/ en suite baths & Walk in Closet's, bonus w/ entertainment bar, great storage, 3 car gar. MLS#2249212. 918.